We talk about how fast technology has changed during our lifetimes, but we’re not quite ready to stop yet! Who knows about the “Celina Gigabit” Project? If you do, great. If you don’t, this post is to give you a brief overview and I’ll update you later when more information comes out and Celina makes some public announcements. Last year, I was following the announcements about trying to put together Celina, Texas as a smart city. Guess what…I moved to Celina for that reason and so many others! The plans were more in concept versus reality and you know that means ANYTHING can happen, including the cancellation of plans. Well, Celina is soon to be announcing that it’s actually coming to fruition. 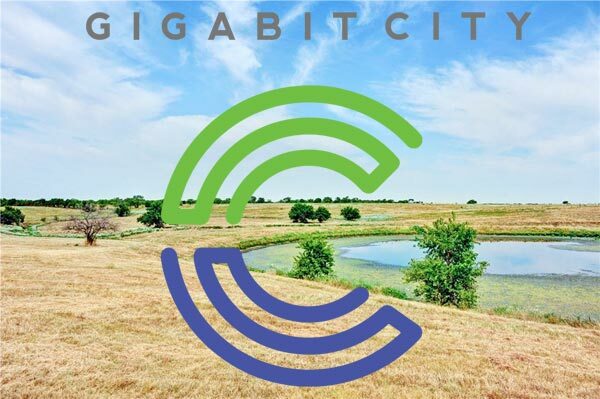 What in the world is a Gigabit City? Whether you call it a Gigabit City, a Smart City, a Tech City or anything else that’s going around, we should know what it means. Imagine every home having a gigabyte of data supplied by fiber optics. Imagine free wifi outside at every park inside the 86 mile fiber optic ring around the city. Imagine that you can simultaneously stream 5 Netflix programs on 5 TV’s in your home with no buffering. Catching on? That’s what Celina, TX is getting rolling! Soon, there will be public announcements. If you live in Celina, pay attention to billboards, signs as you enter your neighborhoods, HOA letters, and anywhere else news could be delivered. We were told some signatures are needed, then watch for the news! 86 mile fiber optic ring around city to be installed. Real time internet with no buffering. No cost to residents to have it supplied to the homes. Priority is current homes to get fiber, and all new homes to have it built it as a developer requirement. Will bring in data and technology companies for our economic development growth. More people can work from home with no internet issues. Residents spend $90 mil outside Celina. Goal is to change that to inside and have others coming here as well. Similar technology in a city West of Fort Worth, Walsh Ranch. Smaller scale, but similar concept if you want to look it up! That’s it for now. I’m excited about the growth of the 380 corridor of DFW. When info is published, I’ll be back here with more! If you ever have questions about buying or selling homes in Celina, TX, feel free to reach out. Would love to walk you through the future growth and expansion and see how that can benefit you and your family!